One of the things I struggle with as a Christian is the fact that I don’t deserve my salvation. No, I received my salvation through faith in Jesus Christ, which is the most beautiful thing in the world! However, it also makes all my efforts to earn salvation obsolete. I think most people have a natural drive for self-improvement and to become the best version of themselves. This drive is the reason why we sometimes decide to go on diets, want to read more books, begin working out more vigorously and become better at showing the ones we love our gratitude. I believe this drive is God-given. I know I am not alone in this struggle of wanting to earn my salvation. Countless Christians just like me live convinced that salvation must be obtained through works, relentless amounts of prayer and flawless character. Luckily, when I read my Bible and pray, I get confronted with this false belief. Faith without works is dead (James 2:17), but we can’t add or take away from what Jesus did on the cross by trying to justify ourselves through our works. 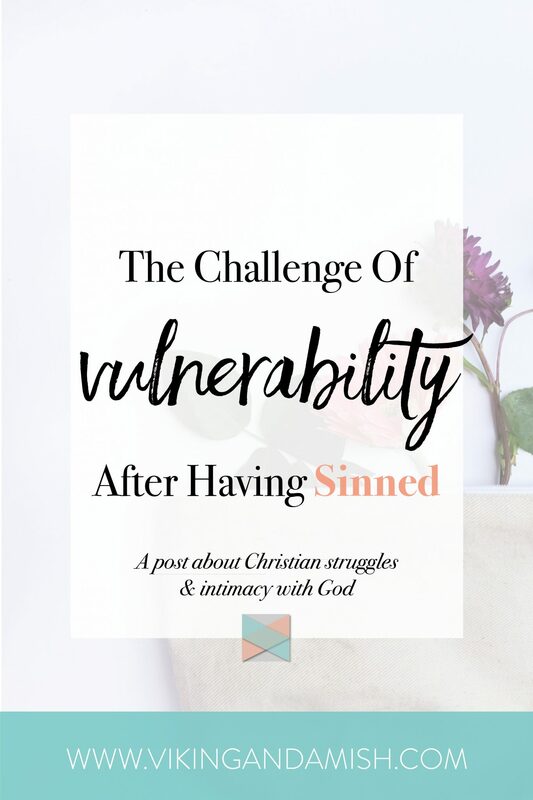 Moreover, the mistaken assumption that follows this self-justification is thinking that we lose the privilege of a relationship with Him if we sin. All of a sudden our need for self-improvement begins to work against us by telling us that we are not worthy. 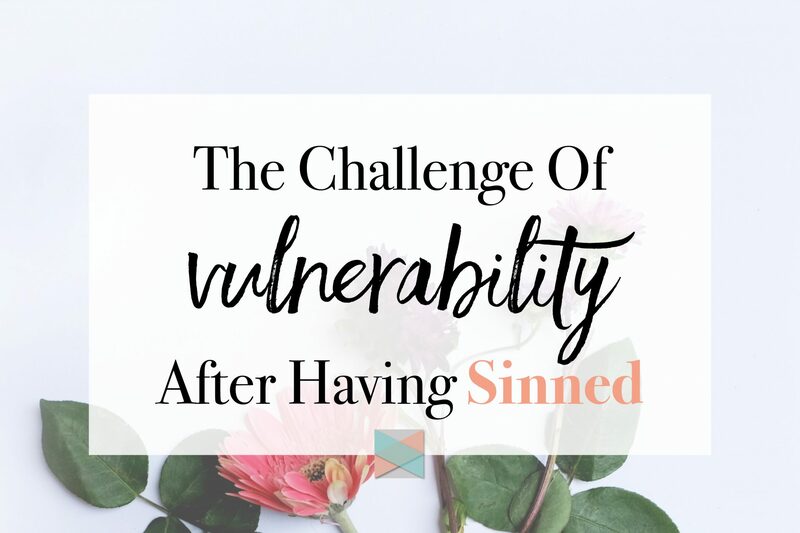 “How could I come before Him if I have also sinned against His will?” The need for personal development sometimes convinces me that if I sin I don’t deserve to be close to Him. It is very self-destructive! The honest truth is that being close to Him it is precisely where I need to be when I stumble. This conflict of deserving intimacy with God was also apparent in the first humans in the Bible. We see that Adam and Eve sinned against God and their first instinct was to hide from Him. They were scared of being found out and of being vulnerable. They didn’t want to show God that they had broken His trust. Truthfully, there were probably a thousand different reasons and thoughts running through their heads as they were hiding in the bushes. Still, God had a surprising approach to their sin. He went and searched for them. In their sin, HE searched for them! He kept communicating with Adam and Eve even when they hid from Him. Do you think God actually didn’t know where they were? Of course, He knew. Nevertheless, God allowed them a chance to come to Him. When they came out of hiding, He asked politely who had told them they were naked, and if they had eaten the forbidden fruit. He already knew their deep secret, but again, He permitted them the chance to choose repentance and vulnerability. Unfortunately, Adam and Eve chose to cast blame and avoid responsibility. They were unwilling to be transparent with their creator. The division eventually led to what we often call “the fall.” One can only speculate on what would have happened had Adam and Eve come crying to God and repented. The truth is that we can’t hide from God. Though He is gentle and would never overstep our boundaries, He is still omniscient, which means He is all-knowing, all-wise, and all-seeing. When we are scared to pray or ask Him for anything due to personal sin, we must recognize that we ARE in front of Him, always, and all He asks of us is transparency and repentance. We can’t limit God to one location for our worship and our intimacy. No, God wants to be part of our lives at all times. He never leaves our side. Many psalms were written about God’s faithfulness and devotion to His followers. [T]he one who watches over you will not slumber. Indeed, he who watches over Israel never slumbers or sleeps. I am not bringing up His omniscient character as a way to scare you. As I mentioned, God would never overstep your boundaries and will allow you to “hide” if you feel like you must. However, He is always there looking for your willingness to be transparent and vulnerable with Him. 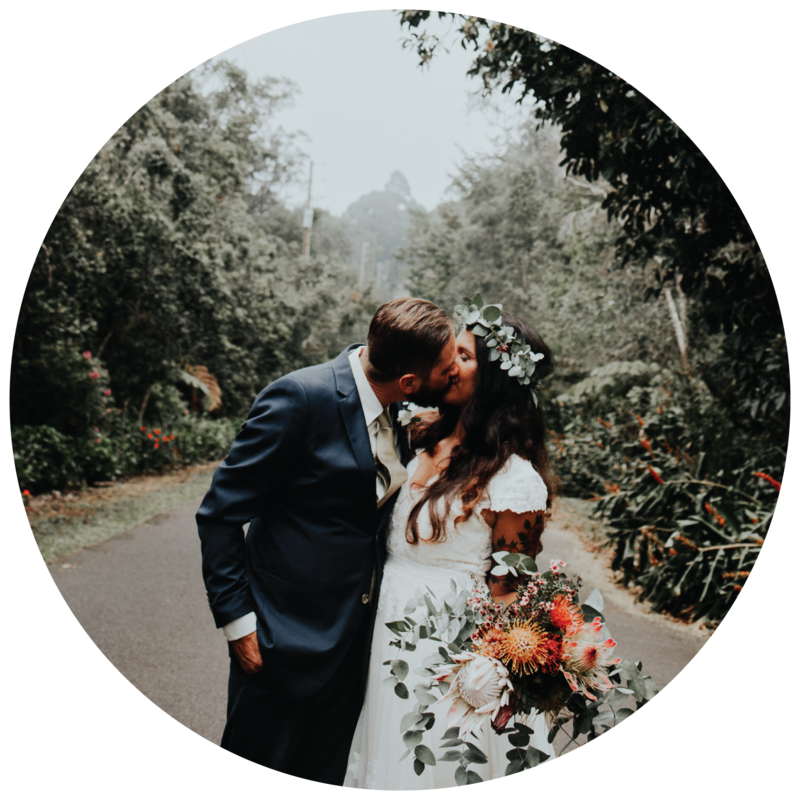 So what is my goal for writing this post? I desire to help anyone who, like me, struggle with praying, worship, intimacy, and a relationship with God after I’ve sinned. I want you to know that God is always there and He would never form any the division between Himself and us. Really, the division happens when we hide. Finally, I would like to share my prayer with anyone interested and in need of tools to deal with this mindset. Sometimes our prayer life needs structure when we don’t have the inspiration to pray and that is why I created this prayer. Thank you for reading this far. I hope you were blessed by the post and that you will comment below with your thoughts on the subject. Join our mailing list to receive the latest news. 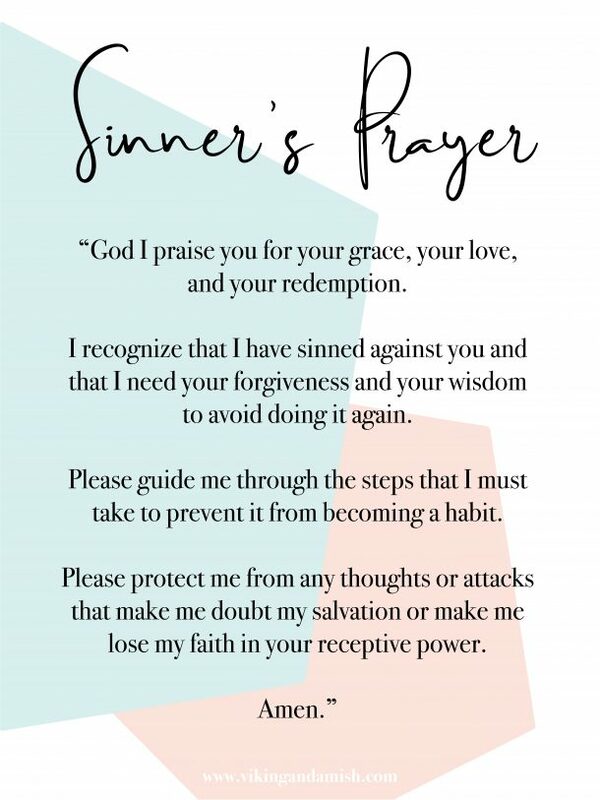 We will also send you a beautiful printable of our Sinner's Prayer.